BUILDING HISTORY & INFORMATION - The Villagra Building is a historic territorial-style building that was designed by John Gaw Meem and built in 1934. The approximate 18,180 square foot building was originally known as the Federal Emergency Relief Administration (FERA) Building and was one of the first Works Progress Administration (WPA) buildings in the area. Architectural elements of the building include pedimented wood windows and doors, brick coping, milled/classically inspired wood elements such as portal columns, beams and balcony balustrades, and a stucco wall finish. Listed on the State Register of Cultural Properties, the building is owned by the State of New Mexico and currently houses the New Mexico Office of the Attorney General. The top two levels of the building serve as office and conference space while the basement is used primarily for permanent document storage. RENOVATION DETAILS - Spears Horn Architects proposed scope of work consisted of addressing the deteriorating wood elements on the building exterior which included windows and doors, balconies, canales, and wood elements at the East Portal. The building also received a new stucco color coat. 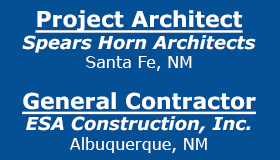 Spears Horn Architects worked closely with the New Mexico Historic Preservation Division as well as the City of Santa Fe Historic District Review Board to obtain window replacement approvals prior to construction. Parrett created a single hung mockup window matching the original historic window profiles. This mockup was integral in assisting with the historic window approval process. Parrett manufactured (43) historical replication windows with (11) original windows retained and restored to serve as examples of the original building units. PARRETT’S WORK – Parrett’s weight & chain double hung window profile was utilized on this project. All windows were constructed of mahogany which was selected for its long-term durability. All windows were factory finished on both the interior & exterior with Parrett’s high performance poly paint. Custom window profile replication included custom sash width and thickness, as well as custom checkrail dimensions. True divided lite grilles were specified at 15/16” wide and also featured custom bar profiles matching the original window units. The single pane 3/16” thick clear glass received a “Solar Window Film” to the interior surface which reflects exterior solar heat in the summer and blocks infra-red radiation to retain heat in the winter. 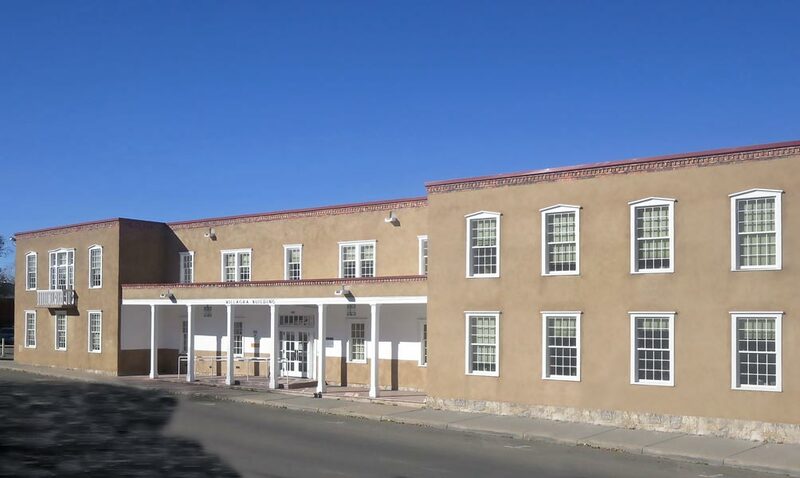 Parrett was proud to play a role in the restoration of this historic New Mexico building.